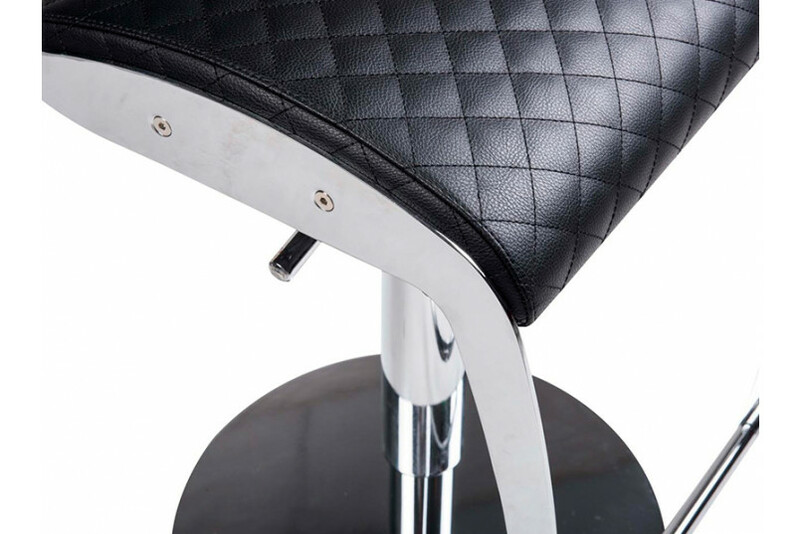 Primus is a bar stool that comprises detailed diamond cut pattern with foam padded seating wrapped in fine leatherette for extra comfort. The sleek bar stool is available in exciting color options. The stool has steel pillar that balances the entire structure and leg rest frame in glossy chrome finish. Relax with your favorite scotch on the rocks, on this padded plus leatherette upholstered stool. Adjustable height feature allows you to access the bar counter easily.